After a takeover and merger in 2008, the new Alitalia has fought to restore its former glory in the European market. Marketing vice-president Andrea Stolfa talks to Ellie Broughton about the line's global route strategy, its innovative new price points and the challenge of improving customer service. 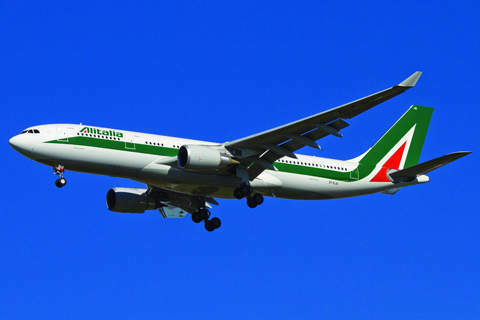 Alitalia plans to grow sustainably in the long-haul market. Alitalia's updated magnifica cabins on board the Airbus A330-200 include lay-flat beds. Alitalia has performed well since it came back from the brink two years ago; its global presence could help Alitalia soar to the top of the market but its rocky relationship with staff has the power to clip its wings. There must be many airlines that look on Alitalia’s revival with envy. Not every carrier could rely on €4.9bn of bail-outs but Alitalia – its name a portmanteau of ‘Italy’ and ‘wings’ – has shown startling progress since it broke free from state financiers. Alitalia’s original incarnation launched operations in 1947. It began by providing domestic flights only, but within a year the carrier had created intercontinental routes to South America. A decade later it merged with Linee Aeree Italiane and by the 1990s carried 25 million passengers a year. From the late 1950s onwards, Alitalia Linee Aeree Italiaine was owned in equal part by shareholders, including employees, and the Italian treasury, with Air France KLM holding a 2% share. It was plagued by financial troubles because of staff disagreements and state intervention, and between 1999 and 2008 reported net losses of more than €3.7bn. In 2006, the EU banned the Italian Government from further interference; two years later, the carrier went into liquidati	on. Compagnia Aerea Italiana (CAI) bought and merged Alitalia and Air One, another Italian carrier, at the end of 2008. Since then, load factors have leapt from 51% in Q1 2009 to 76% in Q3 2010, the carrier has grown a majority share on domestic capacity, and finances have improved so much that it hopes to break even in 2011. While the fragmentation of the Air One and Alitalia brands still shows through in the way Stolfa refers to them separately, the two brands seem to be kept distinctly different for a good reason. Alitalia’s heritage and Air One’s affordable young brand could have clashed within the merged companies but using the strengths of each brand to moderate the weaknesses of the other created order from the chaos. The rationalisation of the two fleets meant that the new brand shed nearly a third of Alitalia’s old planes, such as its MD-80s, and made huge fuel and carbon savings in the process. The younger fleet was key to the customer’s perception of the new brand, while the renewal of the old 45 Alitalia Airbus upheld its heritage. Alitalia now has one of the youngest fleets amongst traditional European airlines, its latest acquisitions being two Airbus 330s last July. As well as new planes, the brand has begun to develop its product range. 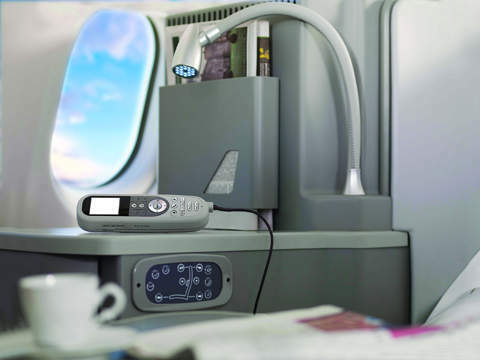 Alitalia debuted the latest innovations onboard its new airbuses, ‘Magnifica’ business class and premium economy. The catering in the new luxury package has already gone on to win ‘Best Airline Cuisine’ award in the Global Traveler Magazine awards. The region-led menu is just one aspect of the Magnifica experience; other parts of the package that emphasise the Italian heritage of the carrier are the wine list, designed by an Italian wine association, and the luxury brand Italian linens, cutlery and travel kits. The publisher of Global Traveler, Francis Gallagher, said that he and his colleagues had long felt that Alitalia deserved an award for its in-flight meals, though the magazine has waited for the brand’s reinvention to say so. He says that the carrier hopes to grow at a rate around 6%-7% annually over the next three years. New routes are essential to the growth period after the company breaks even. At the moment, its main long-haul market comes from North American routes to and from Italy; the airline currently serves New York, Newark, Miami, Chicago, Boston, Los Angeles and Toronto. Its annual report for 2010 found that intercontinental services were up by 11.5% and international up by 13.7%. Alitalia’s partnership with Air France, KLM and Delta has been invaluable to the resurgence of the brand. In 2008, BNP Paribas analyst Nick van der Brul predicted that Alitalia would need to evolve a strategy for the long-haul market quickly because it lacked the ‘economies of scale’ to become a successful national carrier. While Alitalia has made significant progress developing its routes and its worldwide business, its customer service offering still has a way to go. In January, executives announced that it hoped to target a 10% rate of passenger growth, but Stolfa remarks that employees will need further training in order to realise that aspiration. 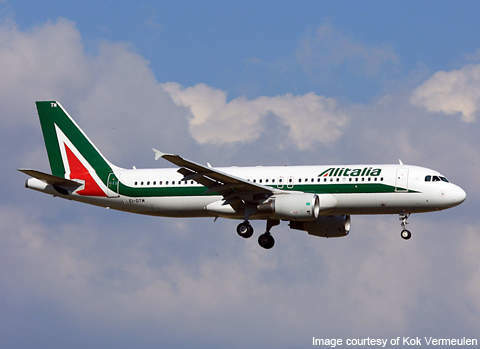 Strike action by Alitalia staff made the headlines several times in 2010 and, controversially, Stolfa says it’s now reviewing its selection processes to target younger employees. He points out that Alitalia’s customer satisfaction index is around 90% – ‘not bad at all’ – but as he knows, the carrier will need to be first out of the gates on every front if it wants to pull ahead of the rest of Europe’s airlines. Alitalia has performed well since it came back from the brink two years ago; its global presence could help Alitalia soar to the top of the market but its rocky relationship with staff has the power to clip its wings. Next year may be the measure of its long-term potential.